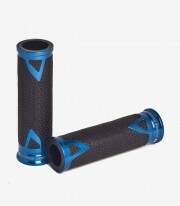 Get now the motorcycle grips Radikal model from Puig in color Blue. If you’re one of those that doesn’t want to go unnoticed, these Puig’s Radikal grips are for you. As their name says, they have a radical design. 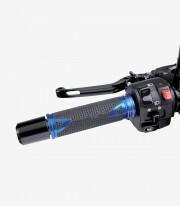 They have aluminum inserts that go through the rubber central area and gives to the grips a more racing style. Also the texture of its rubber central area is not the common texture of any bike’s grip, but it’s formed by hundreds of concave holes that give them a different appearance. 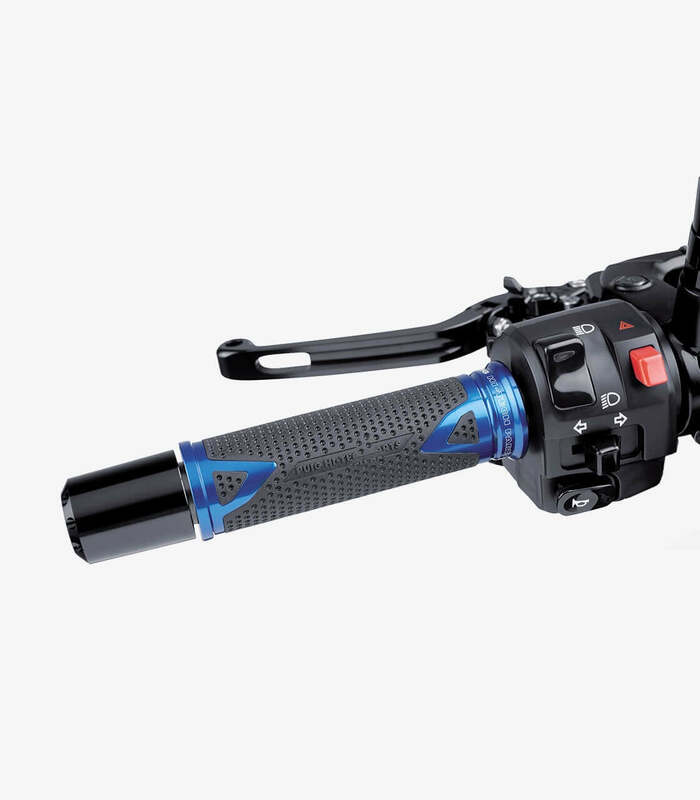 Thanks to its lightweight aluminum construction, the grip only weights 64 grams, being equally light as the ones from default.